Dan Fogelberg was the youngest of three sons born to Lawrence and Margaret Fogelberg in Peoria, Illinois, Dan’s mother was a Scottish immigrant and a music educator, and his father a band instructor with family roots in Sweden. His father’s career would later be the inspiration for the song “Leader of the Band”. The Innocent Age, released in October 1981, was Fogelberg’s critical and commercial peak. Starting out in local bands playing rock n roll Fogelberg found his passion on acoustic guitar ands left his studies at the University of Illinois and headed for the West Coast, finding inspiration during a week in Colorado before moving on and securing a recording contract. For his second release, Souvenirs, Fogelberg enlisted producer Joe Walsh, who had recently recorded at Caribou Ranch near Nederland, Colorado, and “Part of the Plan” went to the top of the charts. In the mid 1980s Fogelberg built what would become his ultimate home and recording studio in the San Juan mountains near Pagosa Springs, Colorado. After a weekend at the Telluride Bluegrass sitting with friends and bluegrass legends, Fogelberg recorded High Country Snows with some of his favorite acoustic pickers and that album became one of the best-selling bluegrass albums of all time. The Wild Places, released in 1990, was the first album he self-produced and mostly tracked at his Mountain Bird Ranch. His rendition of the Cascades’ 1963 hit, “Rhythm of the Rain,” peaked at No. 3 on the adult contemporary chart. 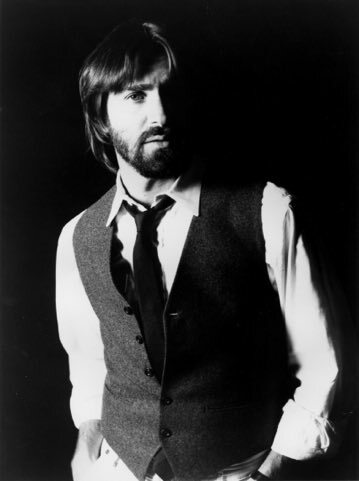 Dan Fogelberg, like Jackson Brown and JD Souther understood that ‘hit songs” were often generational and the late 90s after an injury to his hand Fogelberg turned to performing solo and in varied acoustic settings. And then, in May, 2004, he was diagnosed with an advanced prostate cancer. He continued recording with friends and the help of skilled engineers like James Tuttle until he finally succumbed to the disease on December 16, 2007. He died at his home. He was only 56 years old. Fogelberg wrote “Sometimes a Song” for his wife Jean in 2005. She released the song on the Internet and all proceeds went to the Prostate Cancer Foundation. The song was released on Valentine’s Day 2008 and was also included on a CD released in September 2009 titled Love in Time. In 2017 when Dan Fogelberg was inducted into the Colorado Music Hall of Fame the Hall donated half the profits to help in the fight against prostate cancer. Keep music history alive! Shop at Colorado Music Hall of Fame.